Our nursery offers 26 part time places. To apply for a place in the nursery, please visit our school office to put your child's name down on the waiting list. Children become eligible for a place the term after their third birthday. Places are allocated to children on our waiting list, at a termly nursery panel meeting, who will use the Local Authorities selection criteria. 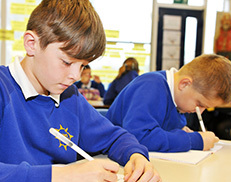 Further details can be found in the 'Schools in Suffolk' brochure. We will contact you when a place becomes available, to invite you and your child to visit the nursery and meet our staff. We will also talk about our induction programme and how this supports your child to make a smooth and happy start to their life at the school. Nursery pupils transfer to the reception classes in the September following their fourth birthday. 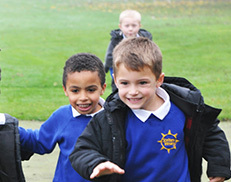 Admissions to Reception Class at the academy are managed by Suffolk County Council. Attendance at the Nursery does not lead to an automatic place in the Reception Class. An application will need to be made for admission to Reception Class. 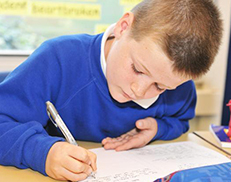 The current Pupil Admission Numbers (PAN) is 60. This number tells you how many pupils we can have in each year group.